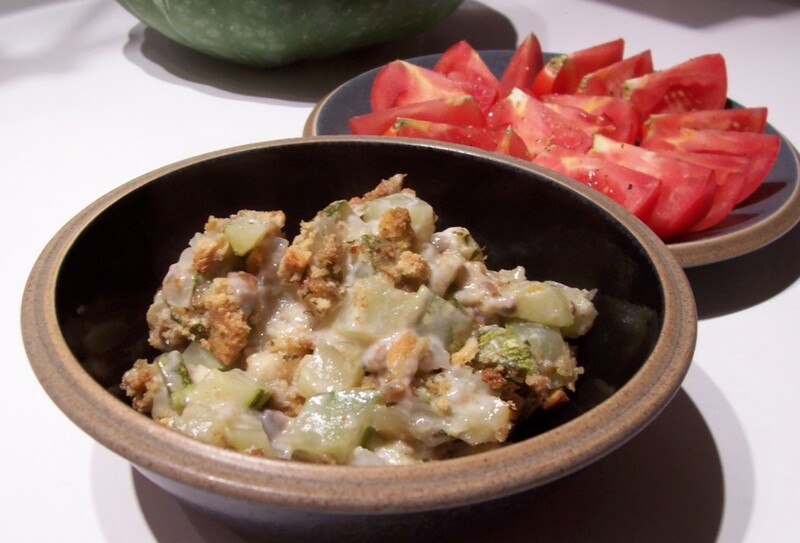 This casserole is a quick and easy way to make use of a large zucchini.Â Simply dice the zucchini and one medium onion and place in a large bowl.Â Stir in one can of cream of mushroom soup, then alternate layers of the zucchini mixture with the dry contents of one package of Stove-Top stuffing in a 9 x 13 inch casserole dish. 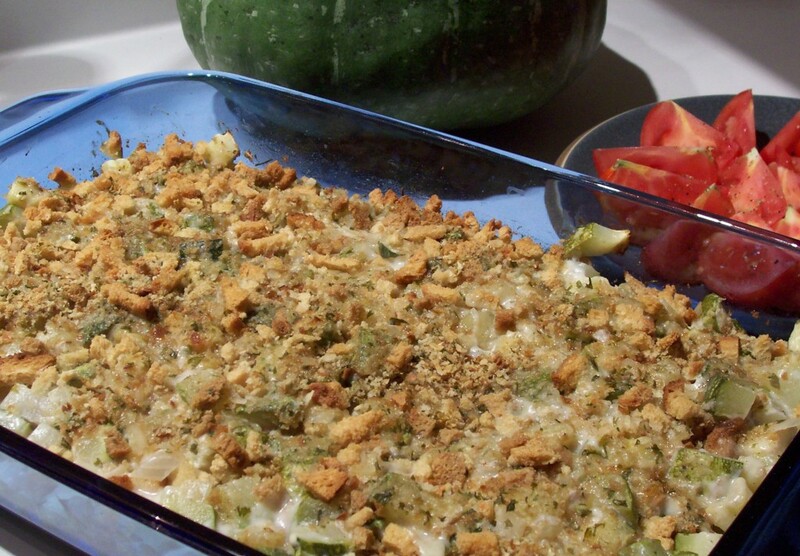 Cover tightly with aluminum foil and bake for about an hour at 350 degrees.Â There is no need to cook the zucchini or onions in advance, and no need to add liquids to this casserole.Â As it cooks, the moisture released from the zucchini and condensed soup is trapped by the aluminum foil, and absorbed into the stuffing mix, so nutrients from the vegetables are not lost down the drain as they would be if the zucchini and onions had been parboiled. We enjoyed this casserole as a light dinner with a side of sliced fresh tomatoes. This entry was posted in Casseroles, From the Garden, Veggies & Grains and tagged recipe, zucchini casserole. Bookmark the permalink.